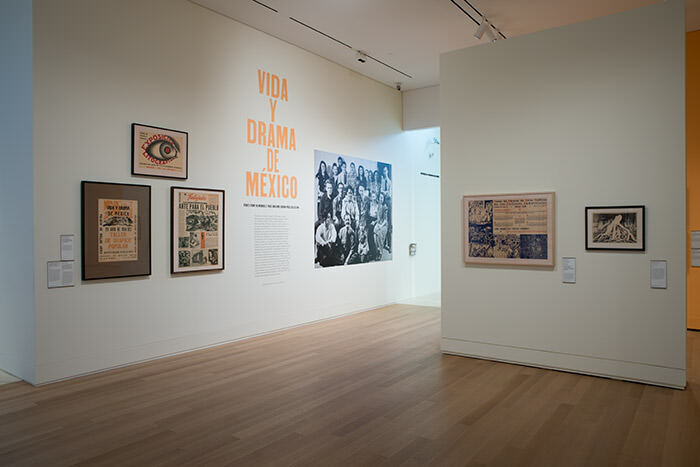 Vida y Drama de México: Prints from the Monroe E. Price and Aimée Brown Price Collection presents a selection of approximately 50 Mexican prints and posters from a group of over 125 given or lent to the Gallery. 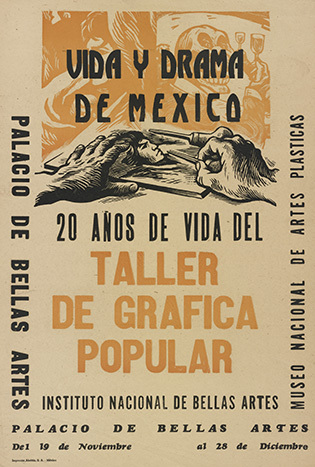 Most of the works in the exhibition were made at the Taller de Gráfica Popular (People’s Graphic Workshop), a collective printmaking workshop in Mexico City founded in 1937 by Leopoldo Méndez, Luis Arenal, and Pablo O’Higgins. 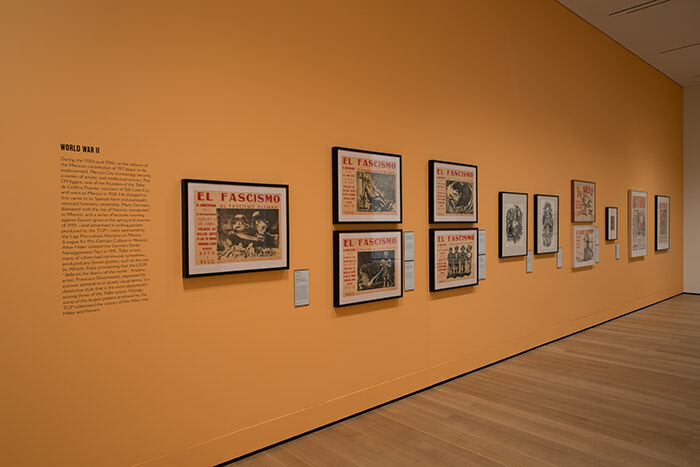 The collective’s aim was to create art to improve the lives of peasants and laborers and to support social justice—goals not fully realized by the Mexican Revolution (1910–20). To reach the broadest possible audience, the Taller artists created works that could be widely distributed and that employed a clear, representational style and inexpensive techniques, like lithography and linocut. 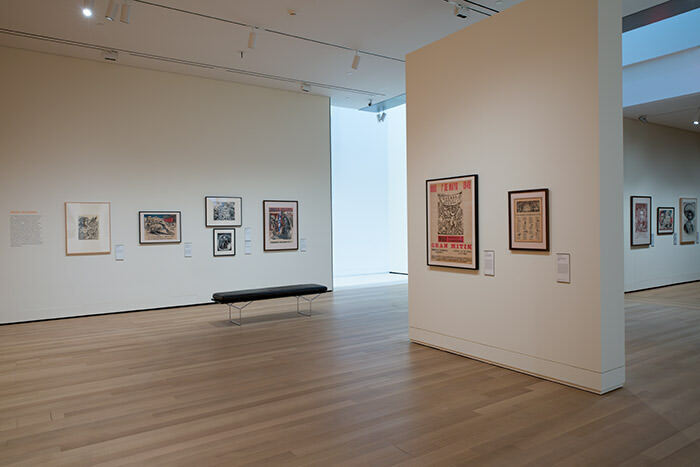 The subjects of these powerful prints and posters include anti-war messages; support for workers and their unions; protests of government-sanctioned violence against demonstrators; political heroes and villains; U.S.-Mexican relations; and indigenous Indians. 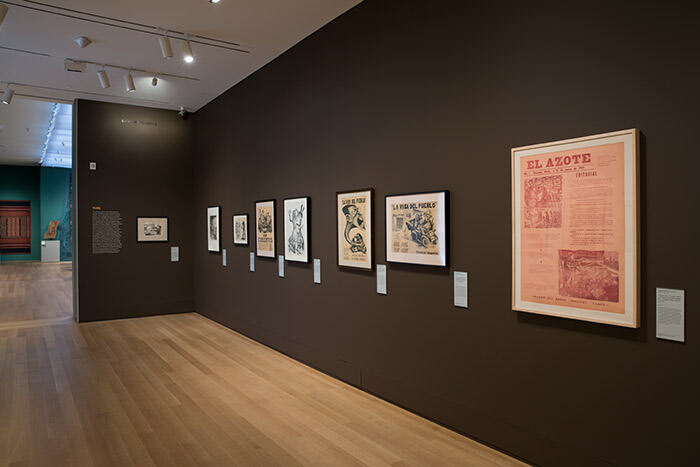 Exhibition organized by Suzanne Boorsch, the Robert L. Solley Curator of Prints and Drawings, and Lucy Gellman, the Florence B. Selden Fellow, Department of Prints and Drawings, both of the Yale University Art Gallery, with the assistance of Nevarez Encinias, B.A. 2014, and Gwendolyn Harper, BK ‘15. Made possible by the Florence B. Selden Fund.